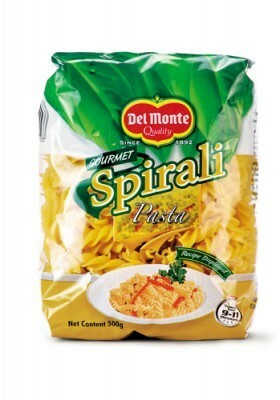 Indiblogger has come up with a new contest of Delmonte Gourmet Pasta. I am a big fan of pasta. I love to try out different recipes prepared with pasta and have already tried out but this time I was really confused when I received the pasta packet from Delmonte. So thought to make something different yet simple recipe which can be prepared in no time. Then came up with idea of making healthy pasta veggies salad with yogurt dressing. Without wasting much of the time ,lets hop on to the recipe. For Yogurt dressing, combine all the ingredients of the "Yogurt dressing "column into a bowl. Mix well till you get smooth texture of the dressing. Cover it and refrigerate it till you use it in salad. Then cook the pasta as per the instructions mentioned on the packet. Chop the veggies and keep it ready. Take the cooked pasta and chopped veggies into one bowl. Pour the dressing into it and toss till the dressing evenly coats on the pasta and veggies. Oh yes!! Our easy Pasta Veggie Salad with Yogurt dressing is ready to serve.